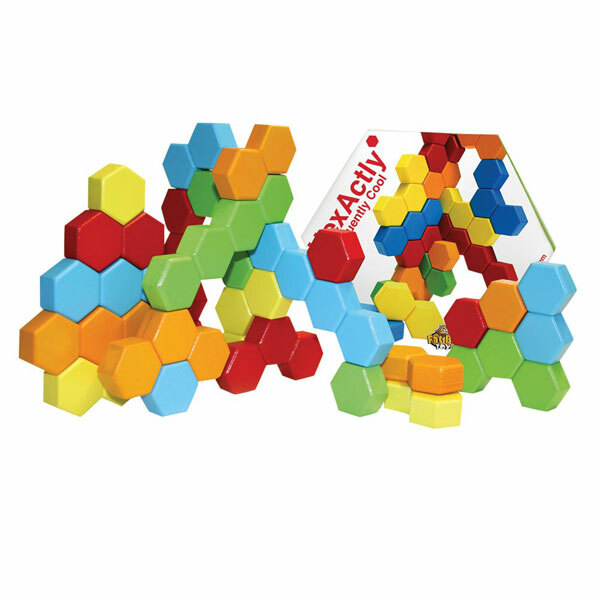 Hexactly lets kids discover how the simple hexagon can create brilliantly balanced and extravagant structures. 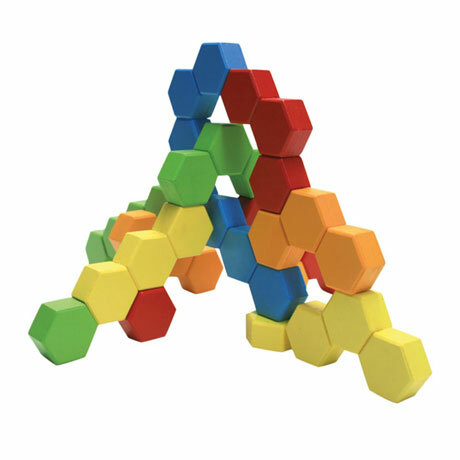 There are no rules, just your child's imagination and building skills. 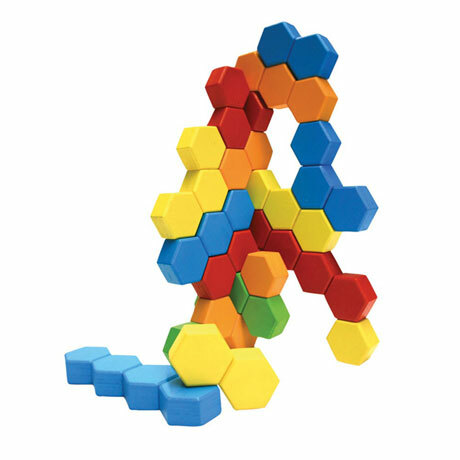 Stack and balance the hexes creatively, or take on the eighteen building challenges posed in the included full-color illustrated guide. 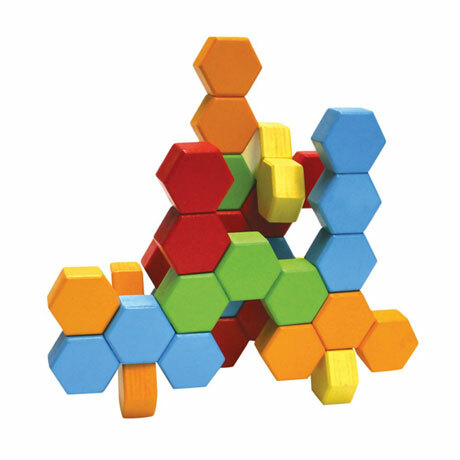 Set includes twenty-four hex pieces total: six stand-alone hexagons, six sets of two hexagons connected side by side, three sets of three connected side by side, four sets of four in a row, and six sets of three hexes connected at an angle. Ages 5 and up.